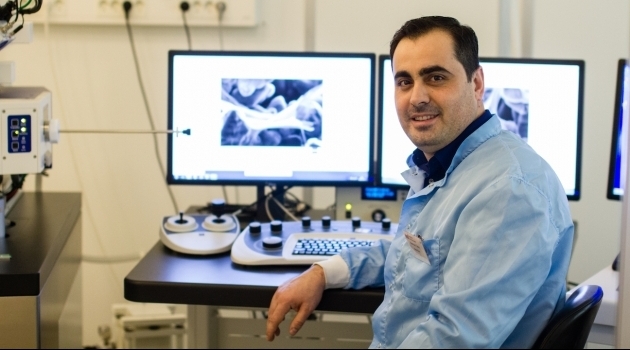 Mamoun Taher isn´t just developing a material, but also processes that can be used by graphene producers and other materials-related industries. He contacted UU Innovation, the University's unit for support for commercialisation of research results, and the European organisation InnoEnergy. With their support, the company took off. There are applications in electronics and telecommunication industry, where the material can be used to efficiently dissipate heat from electronics which enables more compacted designs, longer life spam and safer operation. Graphene is a one atom thick two-dimensional carbon material with combination of different outstanding properties such as high electrical and thermal conductivities, high mechanical strength, lightweight, transparency and rich natural abundance. Graphmatech is at InnoEnergy Incubator program as well as at SynerLeap (ABB Innovation Growth Hub). The company is among the top 10 companies in Nordic Cleantech Open 2018.